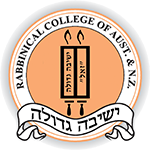 Shiurim - Rabbinical College of Australia and N.Z. "Shiurim in English" is a digest of Shiurim, as delivered to Shiur Beis at the Rabbinical College of Australia & New Zealand. In these Shiurim, the goal is to analyze and clarify the Pshat of the Gemoro with Rashi & Tosfos, as explained by the Meforshim. The reader is advised that the purpose of these Shiurim is not to exhaust all possible explanations of the Gemoro, but rather, to provide a דרך for understanding the Gemoro through the eyes of Rashi and Tosfos. For that reason, the explanations of other Meforshim are purposely omitted when they are at variance with Rashi and Tosfos - even when these explanations are the accepted הלכה. The following booklets have been prepared to assist and enhance the students' comprehension of the Ma'amarim (Chassidic discourses) that are studied at the Rabbinical College of Australia & New Zealand. The goal is to classify and clarify the concepts which are elucidated in the Ma'amar.